After the introduction of KW coilovers in Variant 1, Variant 2 and Variant 3 types, KW now also offer electronic damping options for the M235i. 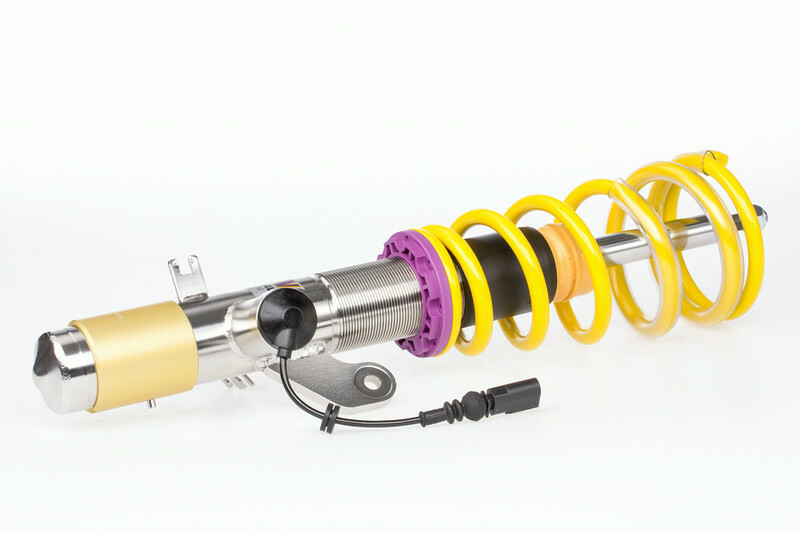 KW DDC coilovers are plug&play for the new BMW 2-series. 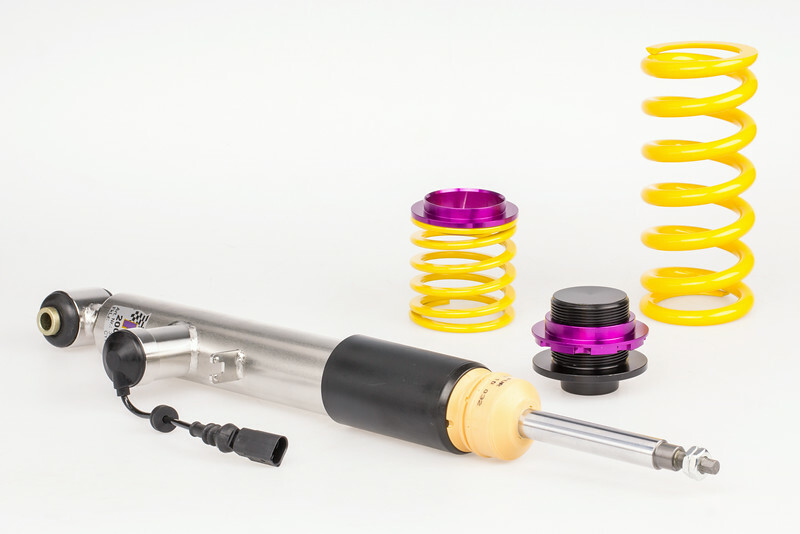 The adaptive suspension comes with stainless steel coilover bodies and is compatible with the original BMW electronics. 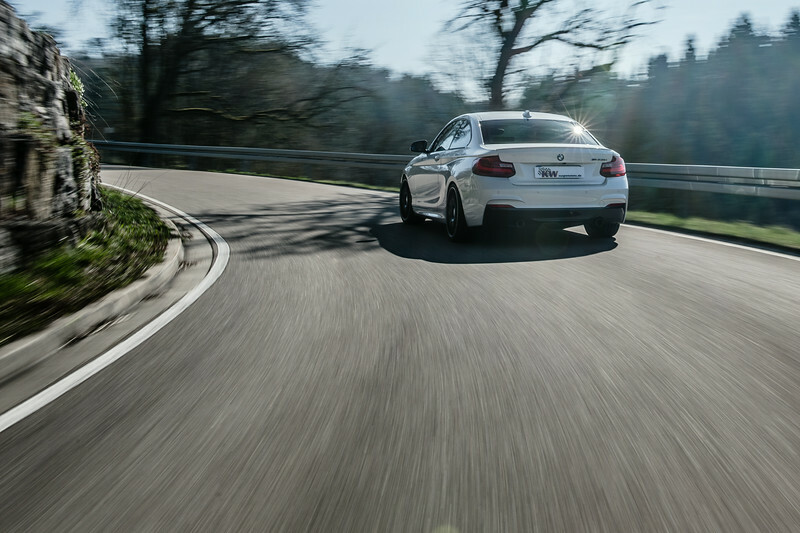 Use the “BMW Driving Experience Control” to choose between a comfortable or a sporty suspension setup. The KW DDC plug&play coilovers allow an adjustable lowering between 25 to 50 millimeters to enhance the visuals of your 2-series. 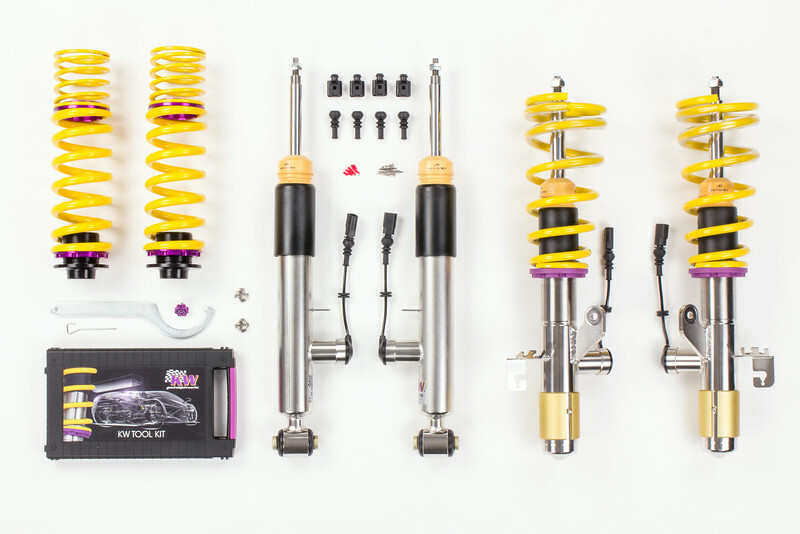 The adaptive KW DDC plug&play coilover kit is an intelligent retrofit solution for the BMW 2-series Coupé which is fitted with adaptive M suspension. In addition to adjustable lowering, the electronically adjustable KW suspension allows for a sportier damping setup or a more comfortable ride at the push of a button. “When choosing the sport mode, the BMW 2-series feels much more direct and agile with the DDC coilovers “, explains KW Product Manager Johannes Wacker. “If that's too sporty for the road condition, simply press the original BMW button and within five milliseconds, the KW damper will switch ride mode to comfort.” This is possible with the adaptive KW DDC technology and electromechanical valves. The KW DDC is compatible with the original BMW driving electronics which means that no modification of the OE electronics is necessary. “The complete suspension control works via the original sensors which in turn control the KW valves. To install the suspension kit, simply replace the standard suspension with the KW suspension and the KW DDC connectors can be connected to the original plugs”, the KW suspension works in harmony with the original BMW control and “It works so quick and harmonically, that you can hardly notice it in everyday use” said Johannes Wacker. The ride height adjustment of the adaptive KW DDC plug&play coilovers comes via the dirt-resistant KW trapezoid thread on the stainless steel strut and the rear axle height adjustment collars. The German TÜV tested adjustment range on the 2-series allows a continuously adjustable lowering of 25 to 50 millimeters on both axles. 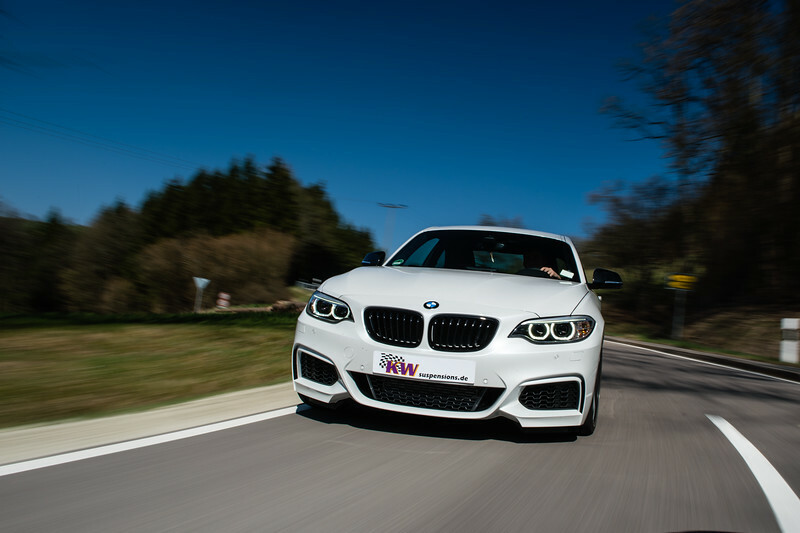 The adaptive KW coilover kit is also available for the BMW M235i, with a TÜV-tested adjustment at the front axle of 10 to 35 millimeters and 5 to 35 millimeters on the drive axle. KW automotive is market leader and innovator of individual suspension solutions for the street and racing applications. Drivers rely on KW coilover kits with its three street damping variants, as well as on the Nürburgring Nordschleife tested KW Clubsport coilover kits, which are street legal and have a TÜV certificate. Worldwide successful racing teams trust in the patented valve technology of KW Competition, the six-time overall winner of the 24-hour-race Nürburgring and winner of the ADAC GT Masters 2011. With its large portfolio of suspension kits, modern production technology, development- and test centre, for more than 15 years KW has been succeeding in markets around the world.